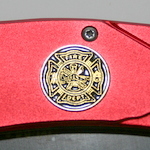 The Boker Magnum Fire fighter provides a sturdy tool for every fire fighter. Using the carry clip, there really is no excuse for not having it on you at all times! 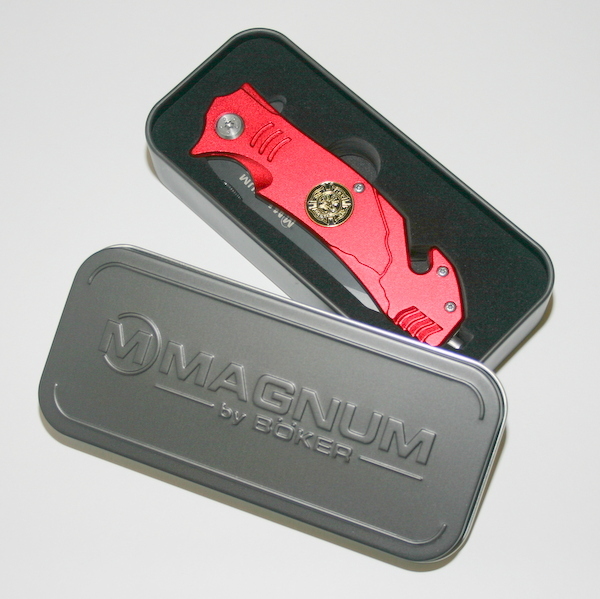 A seat belt cutter and glass breaker makes this knife an essential tool for the professional or volunteer responder. 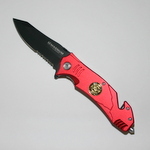 Black coated, partially serrated, reverse tanto blade with flipper and positive locking mechanism. 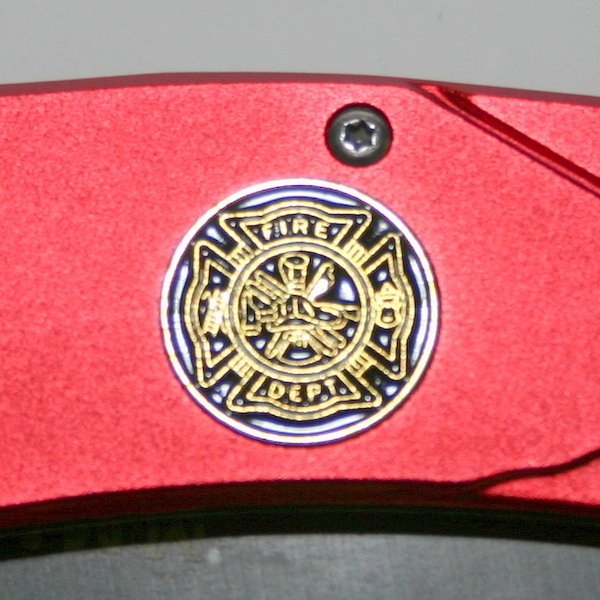 Red anodized aluminum handle with firefighter crest. 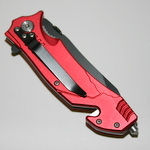 The 440 stainless steel blade is black coated, partially serrated, reverse tanto blade with flipper, and red anodized aluminum handle with firefighter crest. Supplied in a sturdy presentation tin.